The Work-as-a-Service (WaaS) paradigm models work engagements as compositions of service requests, with the intention of separating the work coordination and enactment. In this chapter we present a definition of the WaaS conceptual meta-model a WaaS protocol, based on algebraic ideas from the area of business artifacts, that enables work decomposition, delegation, control, and enactment. The meta-model supports management and coordination during planning and enactment of work. The essential part is a coordination lifecycle, consisting of loosely coupled milestones, domain-specific information attributes, and sets of abstract observable activities to be performed. The presented service-oriented algebra consists of operations for coordination lifecycles when encapsulated service requests are torn, merged, paused, and resumed. The meta-model and protocol presented in this chapter are independent from the specific coordination enactment model which may employ centralized coordination, fully distributed coordination, or other models of coordination between requestors and providers under various optimization objectives. A critical element of information technology (IT) service management consists of managing, coordinating, and executing work in large-scale activities in a variety of areas including IT services implementation, deployment, and operations. This is intrinsically complex, especially when involving cross organizational or cross enterprise collaboration (Varshney & Oppenheim, 2011b). Many such IT services management activities exceed planned schedules or budgets, or fail to meet goals or service level agreements (SLAs). Lack of communication and collaboration across silos along with poor visibility into work are major causes. To address this issue, we developed the Work-as-a-Service (WaaS) paradigm (Oppenheim et al., 2011c), which models work engagements as compositions of interconnected service requests. While work itself is a service in broad sense, in the Work-as-a-Service approach we take inspiration from the area of service-oriented systems and we explicitly model individual work engagements as compositions of interrelated service requests. 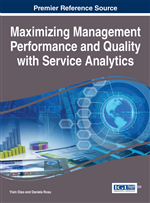 The WaaS approach and formal meta-model provide a formal specification for data-centric management, planning and optimization of IT service projects. The approach and the method have been successfully applied in the context of large-scale enterprise project planning and optimization (IBM Global Business Services, 2009, 2010). Specifically, the described method is used in commercial IT delivery projects using the concept of work-packages as discussed in this chapter and applying advanced coordination mechanisms for distributed, global projects delivery. The WaaS formalism presented in this chapter provides formal underpinning, formalization, and a refinement of the basic meta-model, which will enable formal study of the method, and allow new types of analysis and coordination. This kind of formalism and optimization is particularly useful in the context of complex, global projects which involve many contributors and large number of interdependent task that are oftentimes delivered accros geographical and organizational boundaries. For instance, the project practice as described in (IBM Global Business Services, 2009, 2010) involves the population of tens of thousand of practitioners. In the WaaS approach, the work service request encapsulates units of work that can be treated relatively independently. For example, a work service request can be assigned to a service provider, several work service requests can be combined together (“composed”) to fulfill a particular work engagement, or optimization techniques can be applied to identify the optimal composition, decomposition, and assignment of work (Bagheri & Oppenheim, 2011). These draw on ideas from behavioral systems theory and control theory. The promise of the WaaS approach is to bring efficiencies to the area of managing work engagements as the service-oriented approach (SOA) brought to the area of information technology system design, development, and integration. Our earlier work developed a high-level view of WaaS, separating the coordination of work from actual work enactment. This chapter defines the conceptual meta-model and extends it to enable work decomposition and adjustable management, control, and visibility of how the work is coordinated and how it is done. We revisit the conceptual meta-model and extend it to enable work decomposition and adjustable management, control, and visibility of how the work is coordinated and how it is done. We introduce a specific WaaS protocol for decomposition, delegation, and control of work engagements, using ideas from the area of business artifacts (Nigam & Caswell, 2003; Cohn & Hull, 2009). The goal is to enable simple communication and coordination between requestors and providers of work; and to support clear management and coordination during both planning and enactment of work. We develop a formal set of algebraic operations and derive some desirable properties and algorithms, which enable this framework to be used in project planning and optimization.